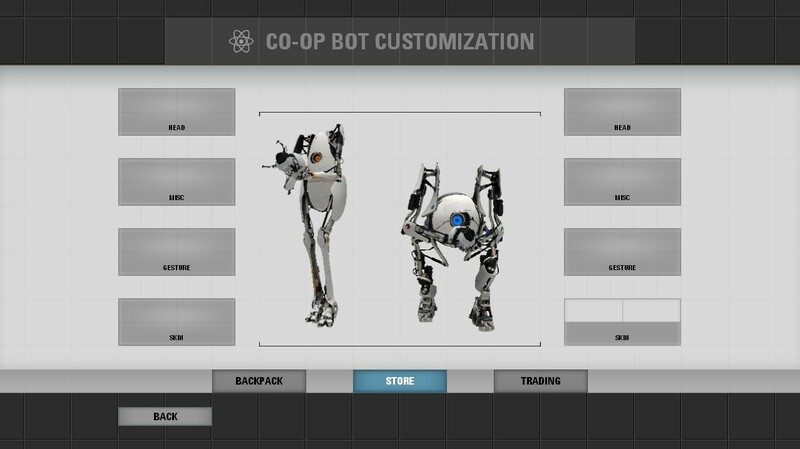 But this time around, they’re adding in a comedic robot sidekick, doubling the number of test chambers, and of course, reuniting the player with the cynically snarky GLaDOS who is upset about what happened at the end of the first game. There are two game modes, one dedicated to single players and the other for co-op campaigns. In around 2014, I finally beat the game in single player mode. I felt truly accomplished due to it being one of the earliest FPS games I’ve played. 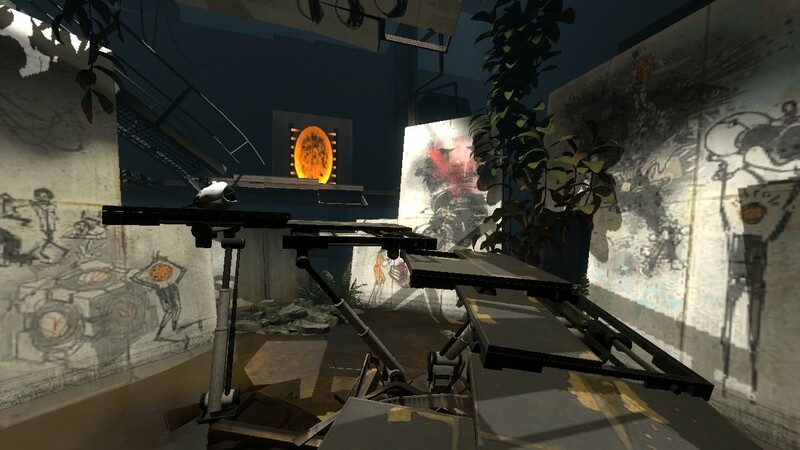 The story continued on Chell’s adventure into the ruins of the Aperture Science facility, now covered in patches of nature. No signs of life are present besides the pre-recorded announcer. She wakes up to see Wheatley, a bumbling maintenance core who effectively destroys the relaxation chamber, escorting her past the early test chambers that serve as the tutorial for new players. I’m perplexed as to how Chell can pick up a storage cube without using her hands before finding the portal device. The comic artists really outdid themselves this time. At first, when I saw GLaDOS’ remains, I assumed she wouldn’t be a threat anymore. But the game proved me wrong. 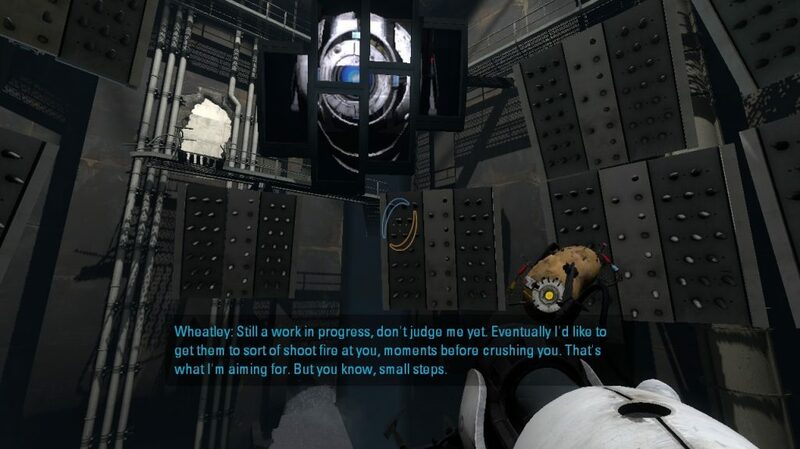 Once I completed a few tests, Wheatley plugged himself into an escalating elevator full of switches, which coincidentally, happened to bring GLaDOS back to life, remembering that I had killed her. Here we go again. To be honest, I didn’t think it would be this easy to escape. Moving along…The elevator rooms now play these short trailers from the promo. My favorite trailer has all the painted turrets and one of them says, “I’m different.” The ending is heavily implied by the fact that Turrets are found in secret areas, singing to an opera tune. A saved game is loaded by chapter. There are nine chapters in total, beginning with The Courtesy Call. One of the most intense chapters is, very appropriately named, “The Part Where He Kills You”. The controls haven’t changed a bit. 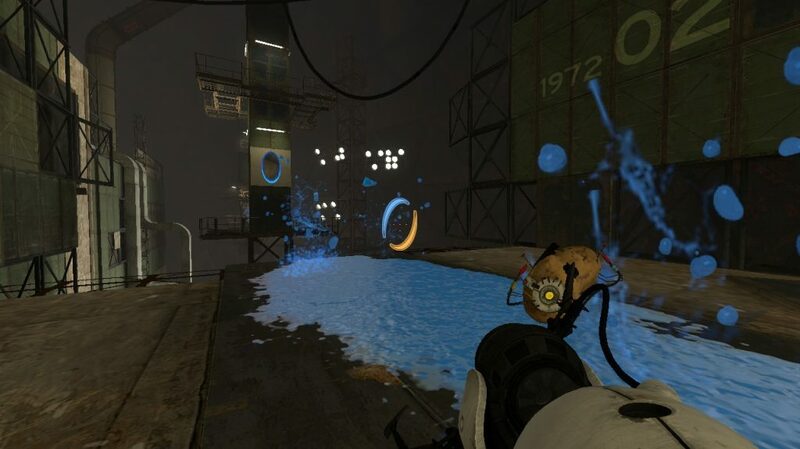 The style of gameplay is the same as before: Portal 2 features new obstacles to overcome using the dual portal device that bridges the gap between two points in space. 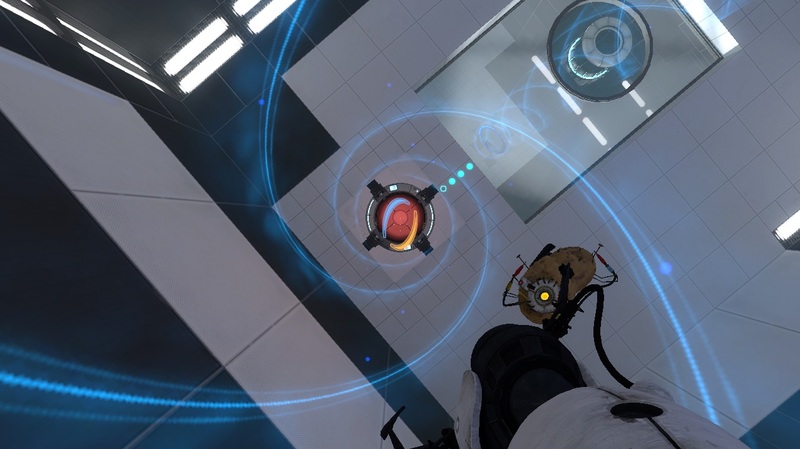 Your portal gun can pick up nearby objects and set them down on buttons in order to gain access to other areas of a test chamber. How do you gain weight when you have nothing to eat? The Aerial Faith Plate is a device which launches Chell towards a certain area marked by a target. The arrow indicates the direction the plate will catapult her. Once launched from an Aerial Faith Plate, she will fly through the air in a projectile motion caused by a preset velocity and height. It could catapult other objects like cubes and sometimes turrets. They are used in conjunction with portals to build momentum and move objects elsewhere. 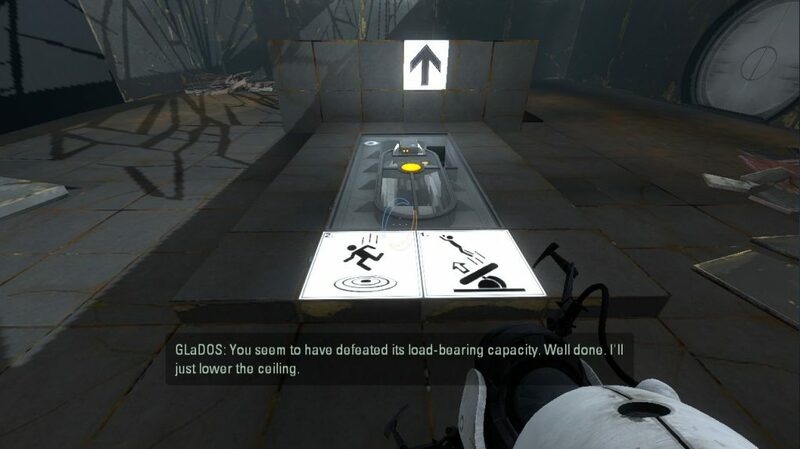 GLaDOS does seem to enjoy poking fun at Chell’s weight during the plate calibration scene. The Hard Light Bridge is synthesized from natural light. Strangely enough, it manages to support a full-grown adult’s weight plus any objects you’re holding. The bridge spans an indefinite length until it touches a wall, offering a place to stand on. This transparent bridge serves as a shield against turrets by blocking their line of sight. Using portals lets you build new bridges to reach other areas. The Thermal Discouragement Beam is a deadly laser that fires in a straight line. The beam may be directed into a receptacle to activate switches. Those things sticking out of the ground are called relays. You must connect all the relays to solve the puzzle above. Don’t walk into the lasers as they will burn you alive. Discouragement Redirection Cubes have the ability to bend the beam at a 90-degree angle, in the direction you are facing. A few puzzles require you to use these cubes to guide a laser towards a receptacle. Portaling a beam allows it to emerge out of portals and touch the wall opposite. 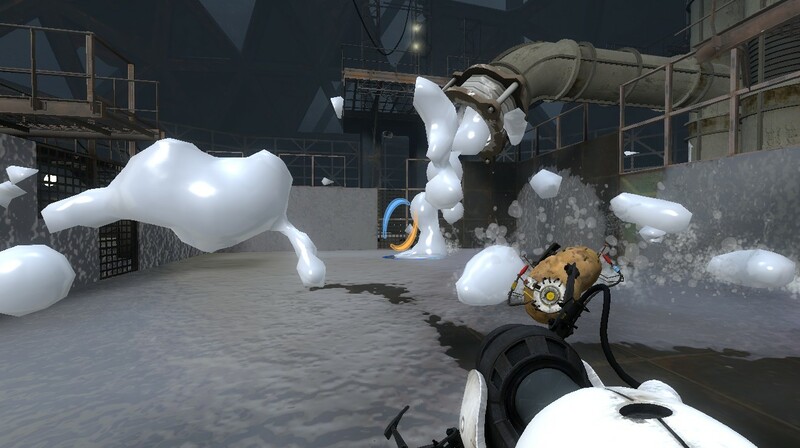 Although Portal 2 copies game mechanics from its previous title, Valve decided to remove both the high energy pellets and rocket turrets. They did add in three gels, each with their own unique properties, that are rather fun to experiment on any surface. Repulsion Gel is a blue gel consisting of sweetened fiberglass. It was originally intended to be a dietary pudding which bounces food out of the stomach. Repulsion Gel will repel objects that hit any surface covered in it. You can jump onto higher ledges using this gel because for every action, there is a reaction. Propulsion Gel is an orange gel which reduces the friction of sliding objects and people. It had been advertised as another weight loss pudding that left digestive complications in consumers. Propulsion Gel increases Chell’s running speed, allowing her to leap a great distance if used alongside the Repulsion Gel. Conversion Gel is a white gel that enables you to place portals on splashed surfaces that aren’t normally portal-conductive. Like the other gels, it’s supplied from pipes, except the main ingredient is moon rock dust. You cannot portal onto small objects coated in Conversion Gel as the portals are too big to fit. The Excursion Funnel is the last mechanism you’re exposed to. It produces a blue cylindrical vortex, spiraling towards the generator in either a forward or reverse direction. This funnel functions as a mode of transportation. Chell won’t fall if she is standing inside one. It creates an isolated space where everything is weightless. It’s moving! It’s alive! And…Nothing. 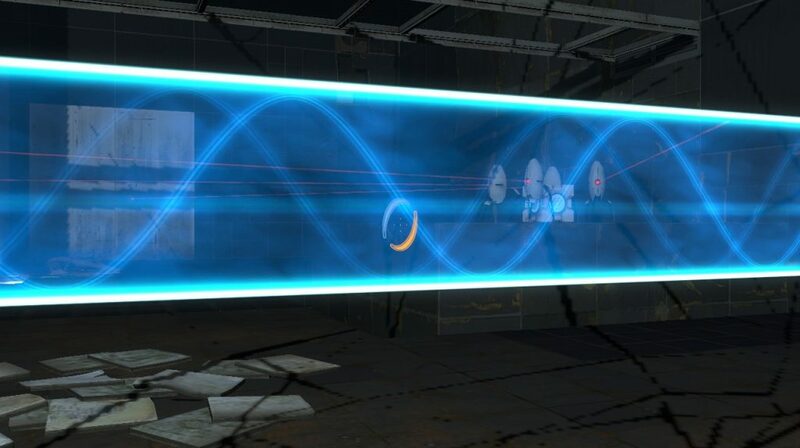 Frankenturrets are one of Wheatley’s inventions after you helped him take over the Enrichment Center. They are hybrids of two sentry turrets and weighted storage cubes, meant to walk onto buttons by themselves, to compensate for the lack of test subjects. Placing a Frankenturret on its back will prevent it from hopping away. The Crushers are rightfully called “Mashy Spike Plates” by Wheatley because they are metal plates with sharp bits welded on it. This is an unfinished version as the spike plates should be able to shoot fire. Like other dangerous hazards, (i.e. acid floors, endless pits) they’ll kill you instantly, forcing you to restart at a checkpoint. In the final chapter, expect to run into some bombs. These bombs are deployed from pipes, activated only when a button is pressed. They aren’t a part of any test chamber but you can use them to blow up gel pipes filled with Conversion Gel. 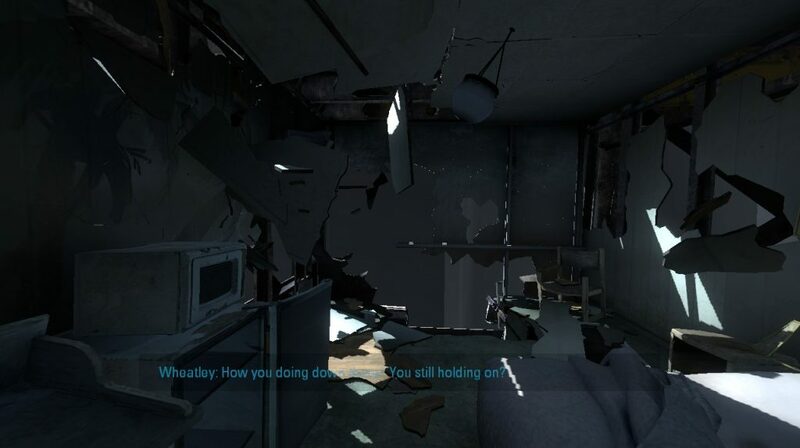 One of the best chapters in Portal 2 occurs when Chell and Wheatley team up to escape the clutches of GLaDOS again. They venture into the maintenance area behind the clean test chambers. There are tubes twisting all over the place, transporting storage cubes. Cores are seen carrying white panels to repair damaged facilities. Before you’re ready to confront GLaDOS, you must do something about the deadly turrets she keeps sending out to block your escape route. 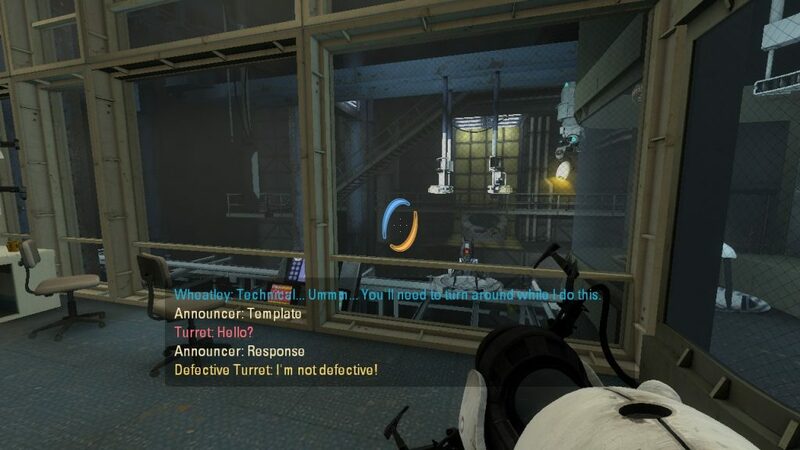 It is here that Wheatley hatches a daring plan, which involves sabotaging the Turret Testing Center: By replacing the template with a defective turret, all the normal turrets are discarded. For once, the defective turrets get their moment to shine. 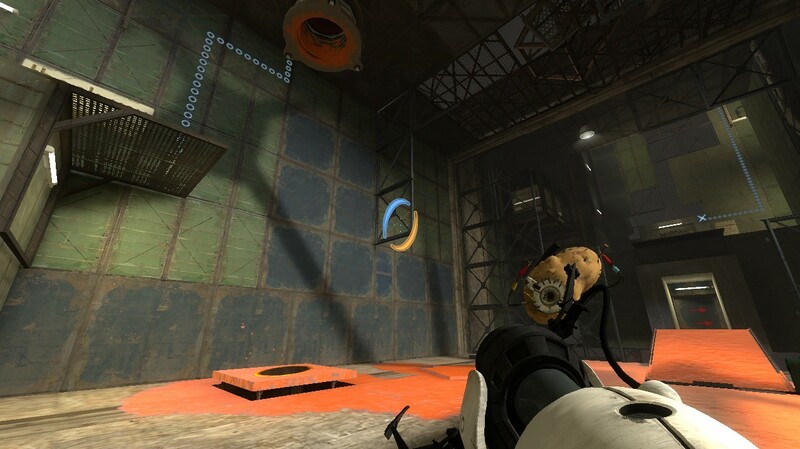 On top of that, Chell discovers the deadly Neurotoxin Generator at the heart of the facility. Wheatley shows a bit more clever thinking by asking her to cut the neurotoxin supply lines using a thermal beam. Soon, they both arrive in the Central AI Chamber where GLaDOS is waiting. And let’s just say, she is very displeased with this turn of events: Her attempts to kill Chell have been foiled again. Wheatley arrives just in time, to initiate the core transfer process. 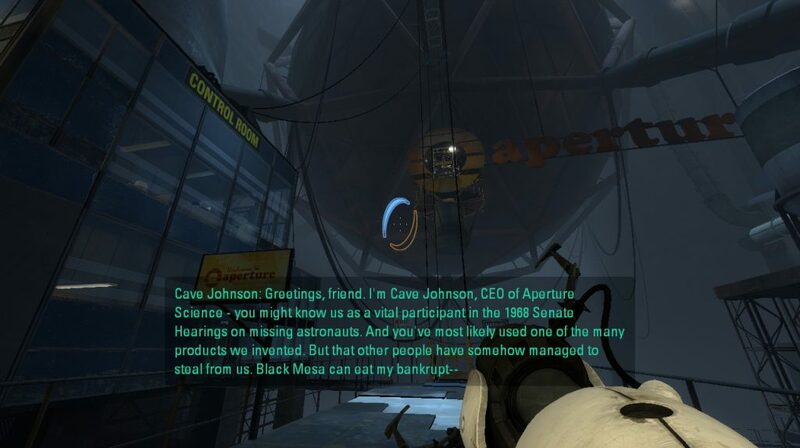 This would give him full control of Aperture Science operations instead of GLaDOS. He is soon plugged into the main body, also giving you an elevator lift to the surface, to assist in your escape. Then, the biggest plot twist happens. Instead of allowing you to leave, he suddenly goes mad with power, accusing you of taking him for granted. 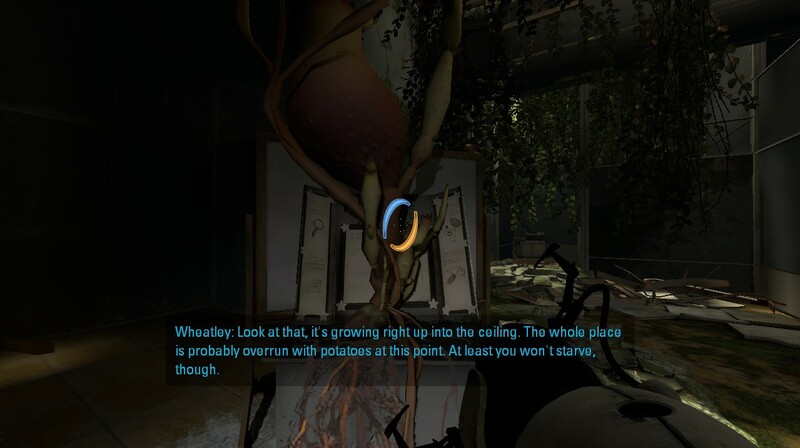 The tables have turned: Wheatley is the omnipresent AI and GLaDOS is turned into a potato battery. 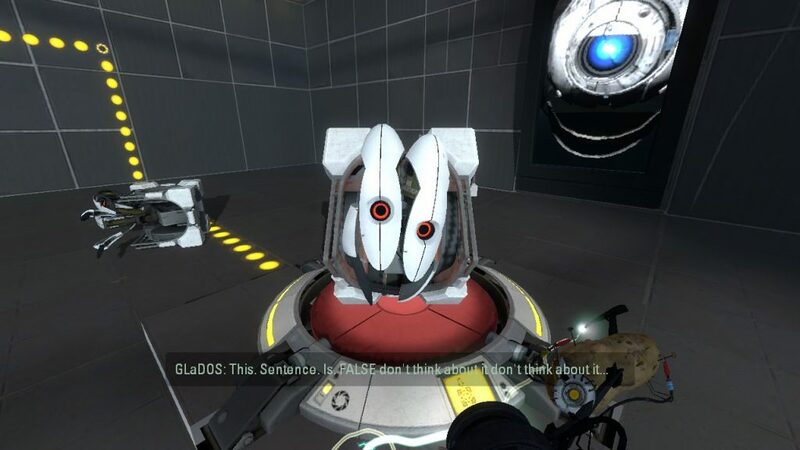 He snaps after being called a moron and throws Chell and potato GLaDOS into the depths of the old Aperture Science Enrichment Center. Now it becomes a matter of returning to where you were. The test chambers down here have seen better days. As a surprise, the levers and elevators still work, after all these years. 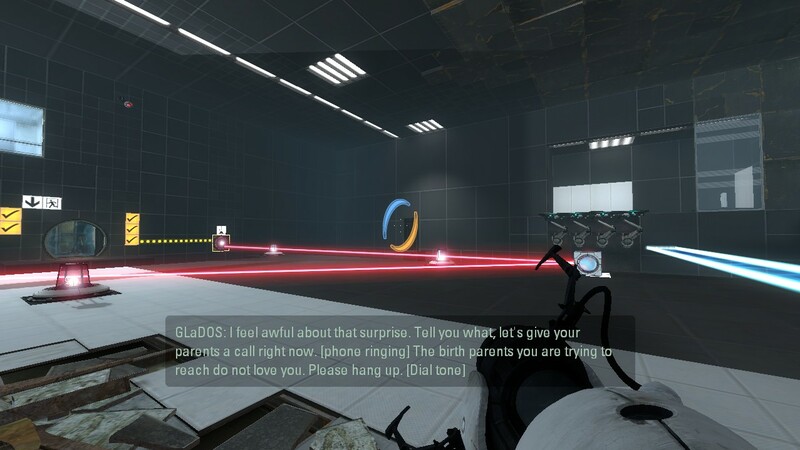 When did portal testing truly begin? Meanwhile, Cave Johnson talks to the test subjects in pre-recorded announcements. He applauds your tough go-getter attitude, offering hilarious but terrifying reminders on the side effects of testing. You learn about the convoluted history of Aperture Science and who is behind the personality of GLaDOS. 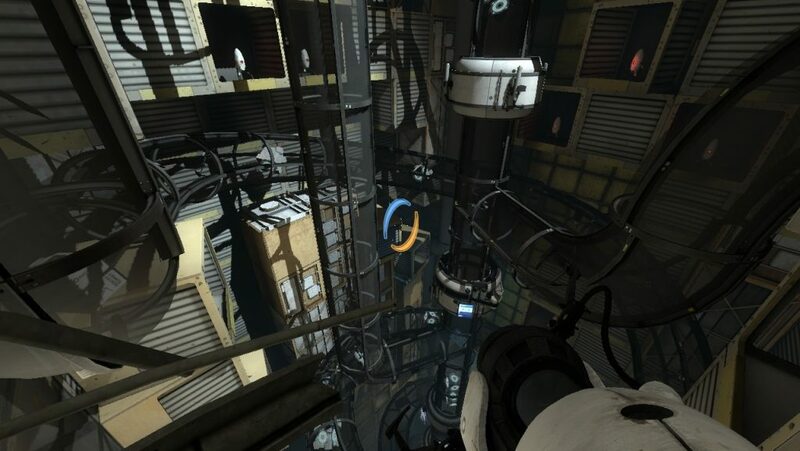 The second half of Portal 2, becomes a trial of solving a series of mind-blowing puzzles. This time, GLaDOS will accompany you in hopes of getting her real body back. Wheatley accidentally triggers the nuclear core meltdown because it’s pretty clear he has no idea what he’s doing. The Space Core has an unhealthy obsession with space-related topics. In addition, he has trouble inventing his own test chambers, often mix and matching whatever he finds. Chell has no choice but to stop the whole facility from exploding before it’s too late. 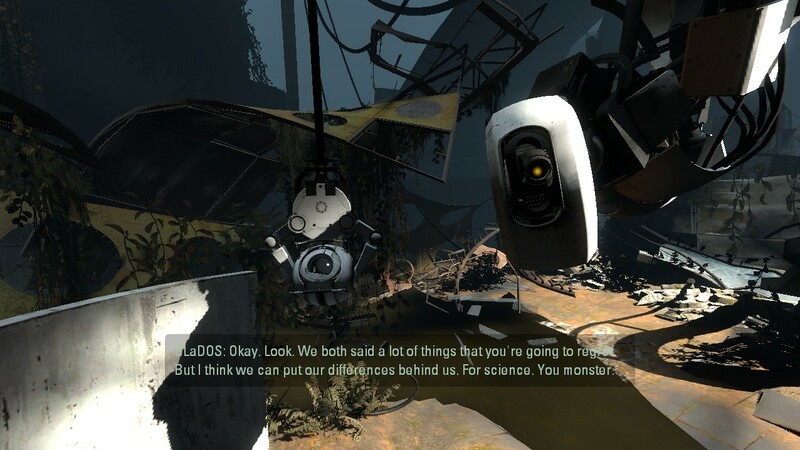 Near the end, she and GLaDOS devise a plan to attach corrupted cores directly onto Wheatley’s mainframe, prior to restoring GLaDOS to her old self. Po-ta-toes. Boil em’, mash em’, stick em’ in a stew. To end this lengthy review…Here is a funny montage of a mutant potato battery. Chell’s green thumb is working just fine. 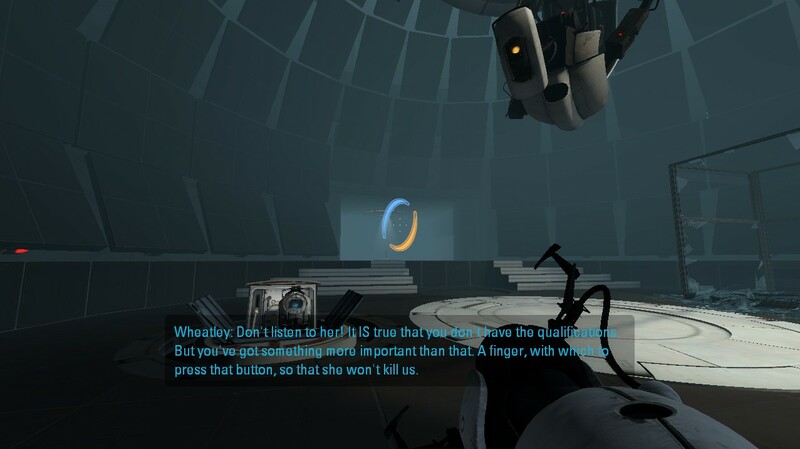 Snippets like these narrate the backstory of Portal, implying that she is a victim of the Bring Your Daughter to Work Day incident. As for the overall rating, I’ve decided to give it a solid 9/10 for going above and beyond what was expected out of the promo trailers. The robot interactions are hilarious, witty, and entertaining; there were some truly memorable lines that made it into fan remixes. A few textures are a bit fuzzy but everything else is almost perfectly executed. It greatly improved upon the characters, portraying them as lively and reactive to the player’s actions. 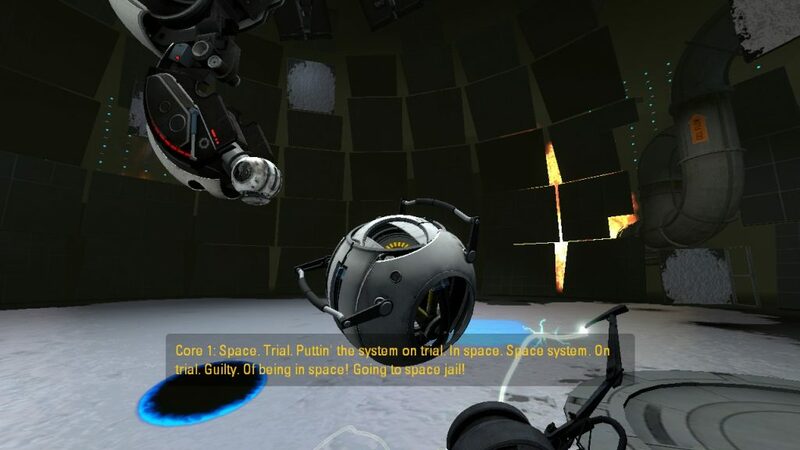 Players can test a whole new facility full of test chambers.